John Martin Leland III, MD, is an Orthopaedic Sports Medicine & Shoulder surgeon and the Medical Director of Sports Medicine at University Hospitals Geauga Medical Center in Chardon, Ohio. Dr. Leland is one of the only doctors in all of Geauga County that is double board-certified in both Orthopaedic Surgery and in Orthopaedic Sports Medicine. He has been named one of the best Orthopaedic Surgeons in Cleveland by Cleveland Magazine. Dr. Leland specializes in the care of athletes with shoulder and knee problems. He is an expert in shoulder and knee arthroscopy, rotator cuff repairs, labral repairs, shoulder replacements, ACL reconstructions, and meniscus surgery. Dr. Leland serves as the Head Orthopaedic Surgeon for numerous high schools in Geauga and Portage Counties. Dr. Leland is a national leader in Orthopaedic Sports Medicine. He is on the Board of Directors for the Arthroscopy Association of North America (AANA). He is an Associate Editor for the Arthroscopy Journal, one of the two biggest Orthopaedic Sports Medicine journals in the world. Dr. Leland has been named a ‘Master Instructor’ at the Orthopaedic Learning Center, the largest and most respected Arthroscopy Training Center in the country. He teaches Orthopaedic Surgeons from all over the world how to improve their skills with cutting-edge arthroscopic surgery. Arthroscopic surgery allows for smaller incisions, less pain, and a faster recovery. 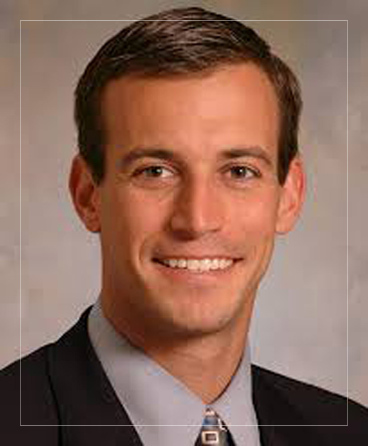 Dr. Leland has served as a team physician for the Philadelphia Eagles, Philadelphia Phillies, and Chicago Blackhawks. Dr. Leland sees patients at UH Geauga Medical Center in Chardon, Ohio and at UH Health Centers in Twinsburg, Solon, and Streetsboro.